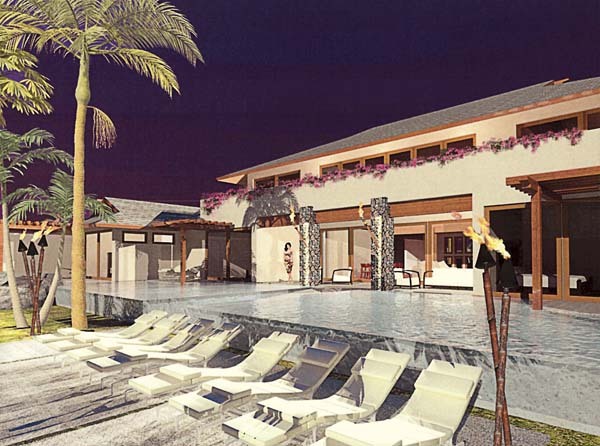 WAILUKU — The son of Star Trek creator Gene Roddenberry plans to build a nearly 8,000-square-foot home with an infinity swimming pool and spa over the next couple years in Kaanapali. On Tuesday, the county Urban Design and Review Board recommended approval of design plans for Rod Roddenberry’s proposed construction of an oceanfront home at 10 Kai Ala Place in Kaanapali near Kahekili Beach Park, also known as Airport Beach. The project needs a special management area permit, which will be taken up later by the Maui Planning Commission. 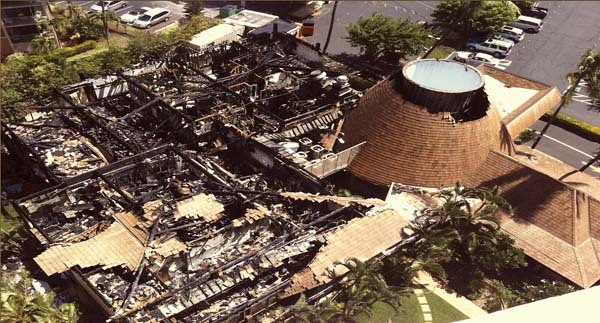 In an unrelated matter, the board also recommended approval of a Valley Isle Resort project to reconstruct its two-story commercial building in Kahana that was damaged by fire in September 2012. The future Roddenberry home is designed to be a 7,825-square-foot, single-family residence that includes a 770-square-foot garage, a 658-square-foot ohana unit, a 100-square-foot pergola, a 318-square-foot cabana, a 219-square-foot covered lanai and a 6-foot-deep pool, according to project filings with the county. He is an executive producer and appears in the credits of the latest Star Trek TV series “Star Trek: Discovery” on CBS All Access. The show just completed its first season and has begun shooting its second. In 2010, he founded the Roddenberry Dive Team, now Roddenberry Adventures, which is an “exploration-based organization committed to discovery, education and preservation of our environment,” its website says. He has led or participated in more than 1,000 dives around the world, the website said. Roddenberry and his wife, Heidi, have been visiting the island for years and bought their first home in Kahana for $7.45 million in 2014, according to property tax records. The couple lives in Los Angeles with their young son, Zale. Roddenberry was traveling Tuesday and could not be reached for comment. The family’s Kahana home on 20 Hui Road is undergoing remodeling and includes a lava rock Jacuzzi along with a swimming pool with the Star Trek logo. The home and property are worth $9.7 million, according to tax records. LeCron said he hopes to have permits to build the future home by September or October. He said it would take about two years to build. The future home is on one of two empty lots Roddenberry owns in the area. LeCron said he had his “eye on them for a long time” and suggested Roddenberry buy them. LeCron said the family has thought about making the future home their permanent residence, and they could sell the Kahana one, but he was not sure about their definitive plans. “They were thinking about him moving here full-time and having their son go to Maui Prep, but now I think it’s going to be a second home so they’re going to stay in LA,” he said. On the other project on the board’s agenda, Valley Isle Resort presented its plans to rebuild the 17,930-square-foot commercial building gutted by fire. The two-story building had previously been leased to Maui Muscle Sports Club before a fire broke out on the second floor and burned the structure. It took firefighters nearly 11 hours to extinguish the flames; damage was estimated at $1.4 million. The structure at 4327 Lower Honoapiilani Road was demolished in 2014. No major changes will be made to the commercial building and resort, but plans do include the removal of the original open-air, volcano-shaped cone roof over the lobby. The resort is responsible for building the “shell” for the building, while the sports club will be responsible for processing all future approvals and permits.